Kristin became the Managing Director for Energize, Inc. in 2018. 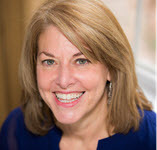 Prior to 2018, she provided Web strategic planning and development services to Energize and guided the strategic planning and development of Energize's strong online presence including the main Energize site, the Bookstore, the e-Volunteerism Journal and the Everyone Ready® online training program. Cara has been with Energize since 2002 and leads our marketing efforts. Through social media, the Energize e-newsletters, the Energize websites and a range of other communication channels, she ensures leaders of volunteers are aware of all the services Energize, Inc. provides. She is a central participant in all company strategic planning. Sheri Wilensky Burke has more than 30 years of experience working with national non-profit organizations and understands that volunteers are the soul of any non-profit. She empowers organizations to develop volunteer-based projects and volunteer leaders, and as president of Sheri Wilensky Burke Consulting LLC offers consultation and training in volunteer management, board development and special events. Prior to developing her own business, Sheri was the Director of Volunteer Management & Board Development for the American Lung Association National Headquarters for 12 years. She has also worked for Volunteers of America’s Greater New York Branch, and the National Multiple Sclerosis Society’s New York City Chapter. Sheri previously served as President of the New York Association for Volunteer Administration (NYAVA) and also served on the national board of the Association for Volunteer Administration (AVA). Betsy McFarland is a principal at Adisa, a consulting firm dedicated to helping purpose-driven individuals and organizations unleash talent and achieve impact. Betsy has more than 20 years of experience in maximizing volunteer engagement in the animal protection, much of it with The Humane Society of the United States. She was the first to launch comprehensive volunteer engagement training for the animal sheltering field, authoring the book, Volunteer Management for Animal Care Organizations, and publishing research on staff-volunteer relationships. She worked with the University of North Carolina at Charlotte to develop a research-supported Volunteer Program Assessment model that serves nonprofit volunteer programs across the U.S. and Canada. Colleen is the person our site visitors connect with most often with questions about bookstore and journal purchases, program access, and more. She is a graphic artist and web designer who has worked with Energize on various projects for a number of years. She started serving in her current position with us in 2014. The journal's ten editors come from four countries and represent a range of perspectives in the volunteer field. More than a dozen authors, trainers, and researchers – each internationally recognized as a thought leader in the field – comprise the faculty of Energize's online volunteer management training program.